basically, a super with “grooved” tubes. esa-mexico had 6 deeply shaped grooves, initially on just the top- and down-tubes and later on all 3 main tubes. there is evidence of transitional nuovo-mexico variants with 4 light-groove downtubes, as well. introduced the 4-sided “master-profile” gilco tubeset as standard-issue and alot more chrome! master-equilateral: a modified seat-stay arrangement that bypasses the seat-lug. master-dual -- arrived in the late '80s, it is a "proper" master but was available for 1 year only and produced in such incredibly small numbers that was never really a mainline model. this model starts with the master-piu and splits the 4-sided master downtube into a wishbone structure that flares out to attach near the sides of the BB shell to increase lateral stiffness. 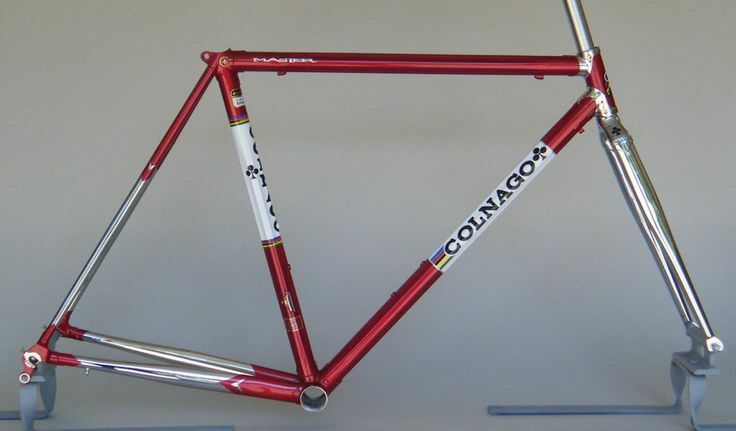 colnago initiated this split-downtube with the "master-progress" concept bike before producing a series of related designs: the steel master-dual in 1987, the alumium "duall" in 1988, the carbon "carbi-tubo" in 1989, and finally the titanium "master-bititan" in the mid '90s. the steel master-dual is a true unicorn in the cycling world -- i have seen only 1 example ever "in the wild" which was listed for-sale in italy this year for over US$12,000!!! arabesque / regal -- arrived early/mid '80s, there was a very small production run of these models that are basically nuovo-mexico / esa-mexico that featured very ornate/artistic lugs. produced in the '83 timeframe for 1-2 years only, the arabesque features lightly grooved tubes from the nuovo-mexico, the regal features heavily grooved tubes from the esa-mexico. slx-conic-spiral -- arrived in the late '80s, the conic models featured a flared/conical downtube (the larger diameter making for a stiffer BB) with 8 deep grooves of the sort found on the esa-mexico. the balance of the tubeset was normal round stuff you'd find on a super. the flared downtube "conic" concept lives on today in the various lugged carbon colnagos -- starting with the c40-mk2 thru to the C60. tecnos -- arrived in the mid '90s, available alongside both the master-olympic and master-x-light, featured lightly grooved tubing like the nuovo-mexico (5 grooves instead of just 2). master-b-stay -- arrived in the mid/late '00s, it's another "proper" master but in reality it is a bit of a franken-bike that combines the master-x-light main triangle with a carbon rear end. some examples (early?) 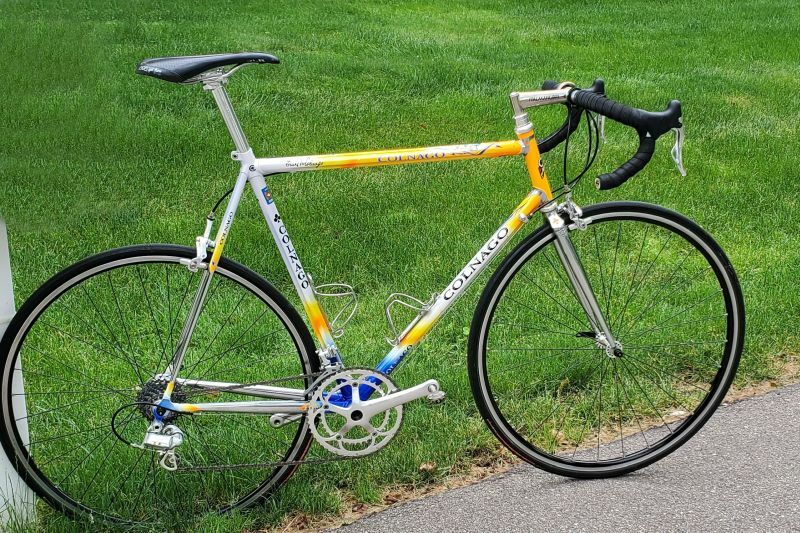 had only the carbon b-stays and steel chainstays, others (later?) had a full carbon rear end that added 4-lobed carbon chainstays. arabesque (re-edition) -- arrived mid '10s, this is a very small production run of new-build master-olympic/light that feature the ornate/artistic lugs as found on the original arabesque/regal produced in the early '80s. apparently colnago found a box of original arabesque lugs gathering dust in a warehouse and decided to re-introduce this model to the delight of the tifosi! others -- i should mention there were master TT, track, and even MTB variants, but this effort is focused entirely on the core road-variants. disclaimer: keep in mind we're talking colnago here -- considering the vagaries of artisanal italian bicycle production control methods, there will always be outliers and exceptions! this effort represents the majority of cases. if anyone can ID errors or omissions, please comment! Last edited by wallymann; 04-16-2019 at 01:09 PM. 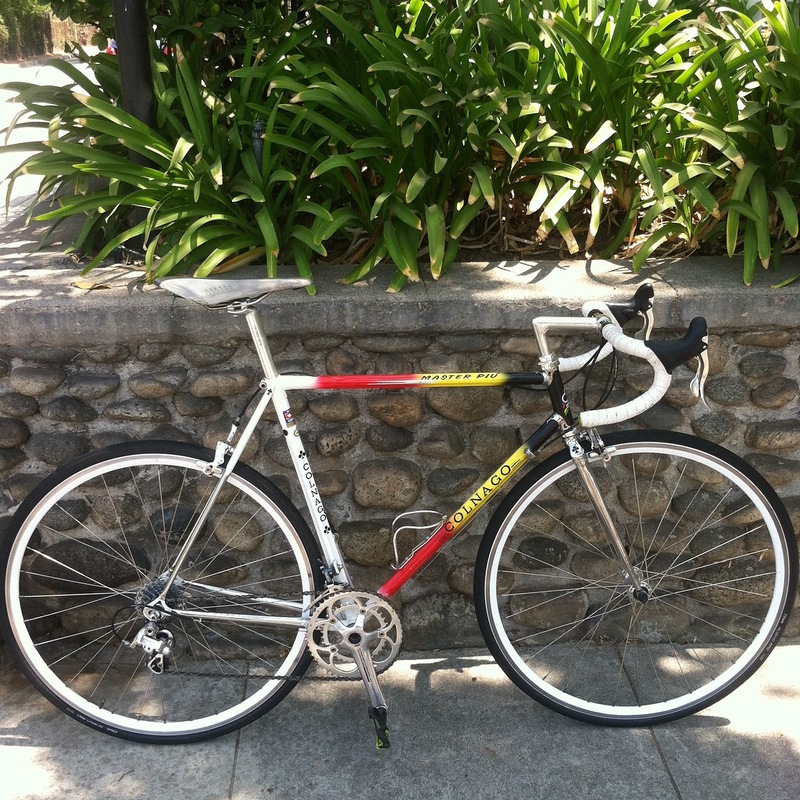 master x-light candy apple/saronni theme with chrome precisa fork = bucket list bike. There was a Tange-tubed variant of the master olympic. This is super helpful thank you, I always wanted a Master with the precisa fork, actually pretty much like the one posted above, though I have a few niggles with that paint scheme. Its hard for me to find a Nag with a paint scheme I like, yet they are out there. I never really had a handle on which Masters were the creme de la creme. Rides like a harsher C59. To quote Borat, I like! handsome master-piu -- love the belgian flag motif! Happy to get this paint scheme. Last edited by wallymann; 10-12-2016 at 09:48 AM. Great reference list. Thank you for doing this. I appreciate your work on this. I was curious to know where my Master Piu fit in on the Colnago timeline. Last edited by fiamme red; 10-13-2016 at 10:50 AM. says right there on the top-tube: MASTER-PIU -- given the font and precisa and dual-bottles, i'd say it's around 1990 or shortly thereafter. Last edited by wallymann; 10-13-2016 at 11:50 AM.